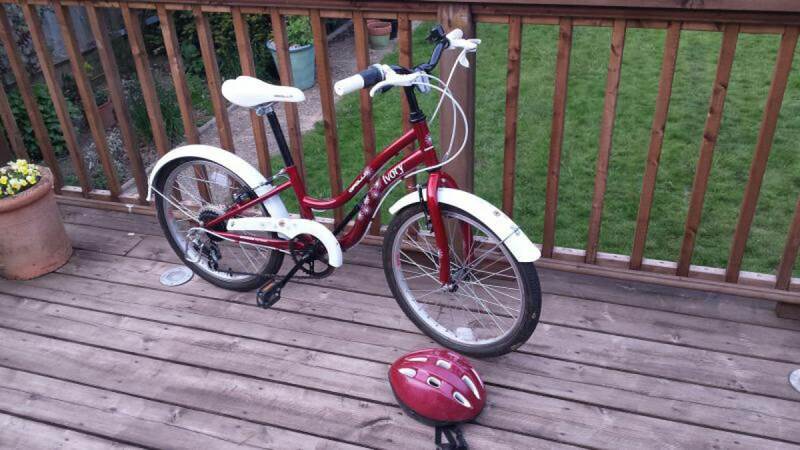 Apollo Ivory Girls Cruiser Bike 20"
Metallic red and white cruiser style bike with 5 gears. Suited for 7 to 9 year old. 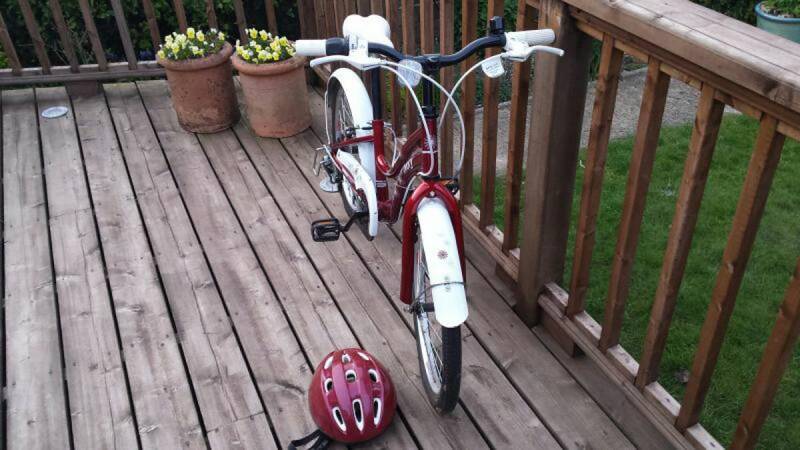 A beautiful bike and my daughter was devastated when she outgrew the bike. 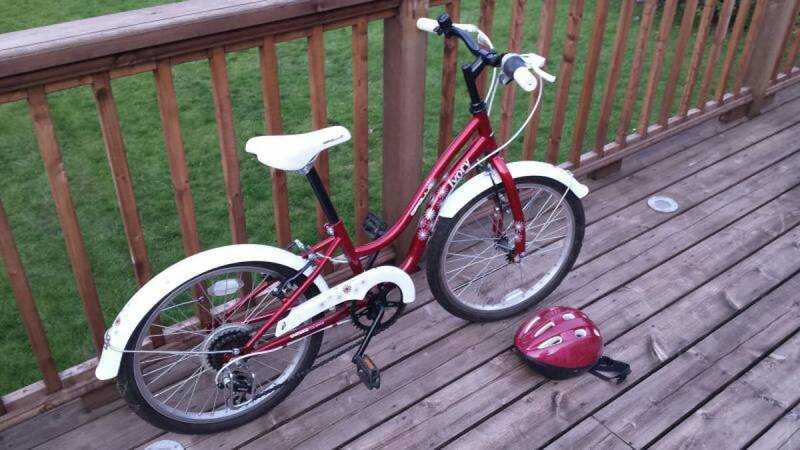 Also include matching bike helmet for free.